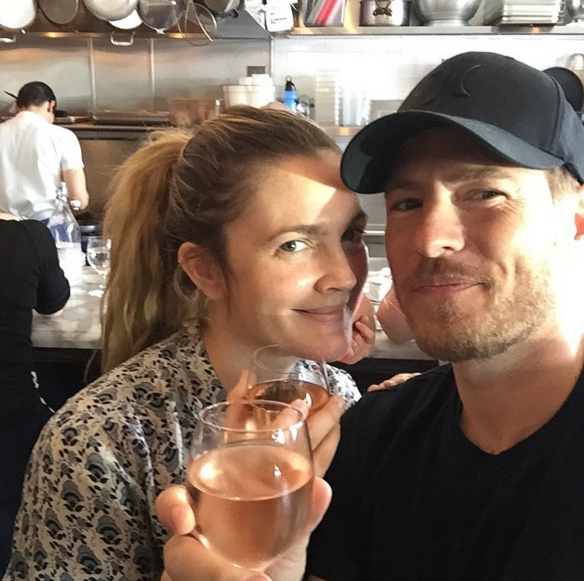 –Drew Barrymore and husband Will Kopelman are divorcing after nearly 4 years of marriage. But on the plus side, if anyone can actually pull off an amicable conscious uncoupling, it’s her. -Meanwhile, she’s showing off her new tattoo, which is actually quite sweet. -Hello Magazine has apologized for running a fabricated George Clooney interview. –Tom Hiddleston did a local weather forecast and blamed everything on Thor. Seems fair. -Not surprising: Batman v Superman is dropping 65% at the box office in its second week. Word of mouth is gonna kill this thing dead. –Kate Hudson‘s dream “cheat day” includes gluten-free cookies, dairy-free ice cream and frozen yogurt. You’re doing this wrong, lady. –Andrew Rannells was all kinds of delightful when he talked to Seth Meyers about monopolizing Obama’s time when he visited Hamilton. He also wrangled a gator. –Taylor Swift at the gym is me at the gym. Minus those abs. -I’m all for juicy gossip about CW stars, but this is a bit of a stretch, no? –Britney Spears posted the best TBT photo of all time and now I’m filled with questions. –Ariana Grande is still getting people to carry her around, making her the heir apparent to Mariah. -Posh Spice bends it like Beckham. -This new teaser for Preacher is ominous as hell.